At Larsen Jewellery Melbourne, we specialise in custom made fine jewellery. Experience our personal service and exquisite workmanship, dealing directly with your own personal jeweller. Our design studio, as well as our workshop, is located in one of Melbourne’s most historic and beautiful landmarks, the GPO building. We can be accessed on Level 2, above H&M via Postal Lane. Prior to visiting, we encourage you to browse our extensive image gallery of stunning engagement ring designs. Larsen Jewellery Melbourne is a proud member of the Jewellers Association and the Goldsmiths Guild of Australia, and is bound by their strict Code of Ethics. 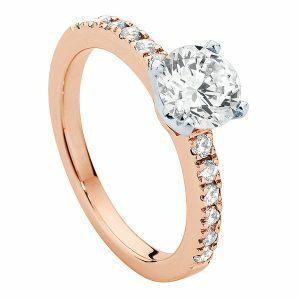 Our team of expert jewellers in Melbourne can assist you in creating your very own bespoke engagement ring design; incorporating any ideas, imagery or other design inspiration you bring with you to your appointment. 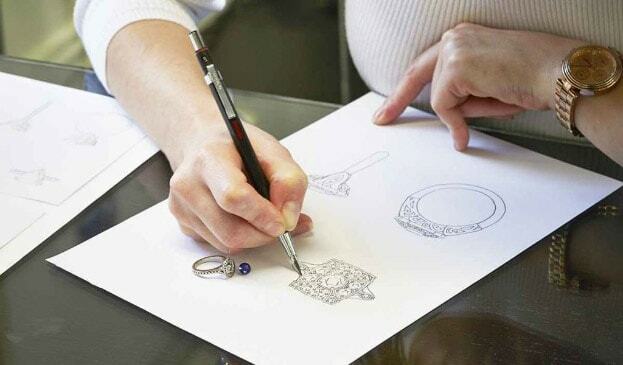 Larsen Jewellery are the experts in custom made engagement ring design. Choose from a range of beautiful loose diamonds or high quality coloured gemstones, and to try on our large selection of engagement ring styles in our Melbourne studio, located in the iconic GPO building. Your jeweller will begin by explaining the 4 C’s of diamonds, and will educate you on all there is to know prior to making a purchase, to ensure that your experience is informative, relaxed and enjoyable. Experience our personalised service and exceptional quality whilst you deal directly with your own personal jeweller, who will custom make your diamond engagement ring for you in our Melbourne studio. As you are buying directly from our studio at workshop prices, you will receive value for money and a lifetime guarantee. Are you choosing to surprise her with an engagement ring? If so, one of our friendly, professional jewellers will help you with choosing the best diamond or coloured gemstone, metal and setting, to create your fiancée’s dream design. If you’re not sure which ring style to go for, you also have the option to propose with a beautiful loose diamond or gemstone, and then you can return at a later date with your fiancée to choose your design together. Please read our helpful list of ‘Tips for Men’, which answers the most popular questions we get asked prior to proposing.